President Obama needs to lead an international diplomatic effort to open food aid corridors in Somalia and stave off the worst famine in the Horn of Africa in 20 years, according to a new Enough Project policy paper,"A Diplomatic Surge to Stop Somalia’s Famine," released today. The core of the problem is this: Aid agencies have very limited access to famine victims and very limited capacity to monitor food aid deliveries. […] Unless this changes, the 2011 Somali famine will be to the Obama administration what the 1994 Rwandan genocide was to the Clinton administration – a terrible stain, an unforgiveable instance of lack of political will to push policy beyond incrementalism. 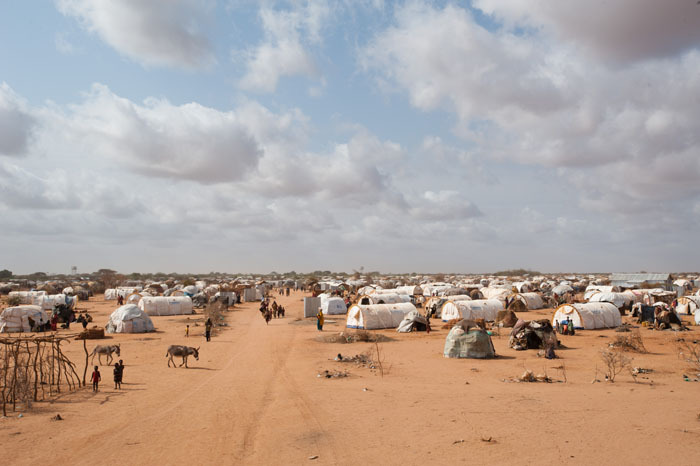 Famine victims are in areas controlled by al-Shabaab, an Islamist militia that denies victims food aid at the expense of its starving citizens. In the areas controlled by the U.N.-backed Transitional Federal Government, or TFG, corrupt officials and affiliated paramilitaries divert food aid, prey on famine victims, and fight among themselves. Both Shabab and the TFG must be put under the most intense pressure from the international community, with President Obama and the U.S. taking a lead role on this diplomatic surge.